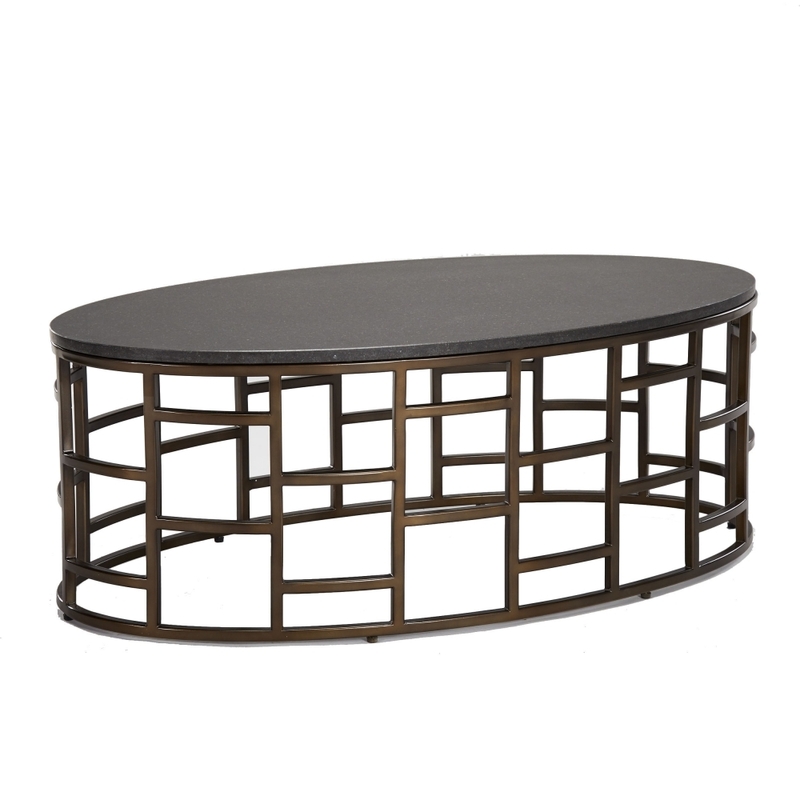 A geometric laddered pattern extends across the base of the Casablanca Coffee Table. The art deco inspired formation designed in an on trend brushed metallic finish. A stylish basalt surface complements the striking base. Accent the finely interwoven minute grain of the basalt with home accessories. The Casablanca coffee table is available in both circular or oval shapes, with options available for all manner of spaces. Style with the Casablanca side table in the range for a cohesive, striking effect.